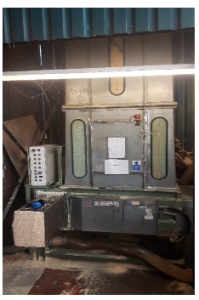 Volumetric baler c/w 30kW hydraulic power unit and controls. 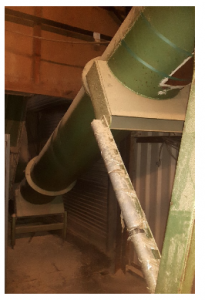 Inclined Ø500mm x 9-metre nominal tubular screw feed conveyor. 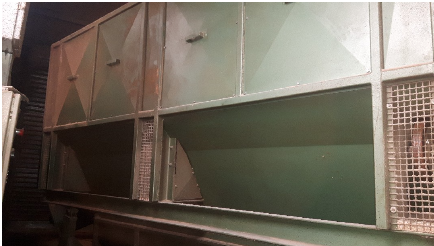 Rotary dust extraction screen c/w dust auger. 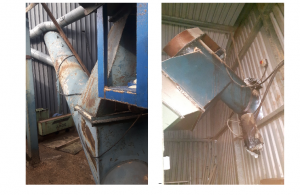 Inclined Ø500mm x 7-metre nominal tubular screw feed conveyor. Price – £22,000 net, sold as seen.